The writer’s brush with death encourages her to think more about what it means to actually live. 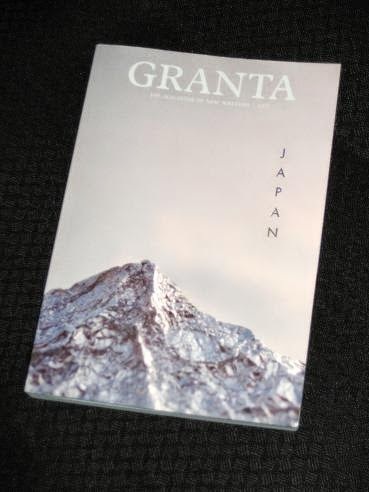 Granta 127: Japan is an excellent addition to my Japanese library, and it’s a must have for anyone interested in J- Lit (and with Bellezza’s Japanese Literature Challenge 8 starting this month…) – but wait, there’s more! If you go to the Granta website, there’s some exclusive online content free of charge, including excerpts of some stories (with comments by the translators) and extra stories, including one by Yoko Ogawa. What are you waiting for – get over there, now! Don't forget Pulitzer Prize-winner Adam Johnson's story which I personally think is one of the best things in there! This one sounds excellent, Tony – like a box of chocolates! Years ago I had a subscription to Granta. I enjoyed most of the editions they sent me, but ended up with just too much TBR as a result. I should get this one, sounds very interesting, and see what I think about subscribing again. Has reading one made you think about a subscription? James – Not for the moment, mainly because I just have too much to read already! I'd definitely consider it at some point in the future though.